Happy Valentines Day from everyone here at FotoBella! 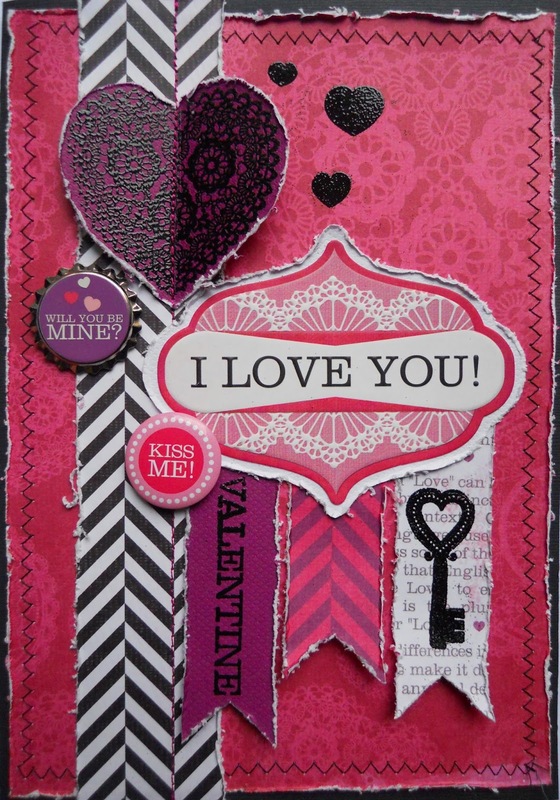 What better collection than Crazy for you I want it all bundle by We R Memory Keepers to create some great Valentines projects, like this card that I made for my husband. 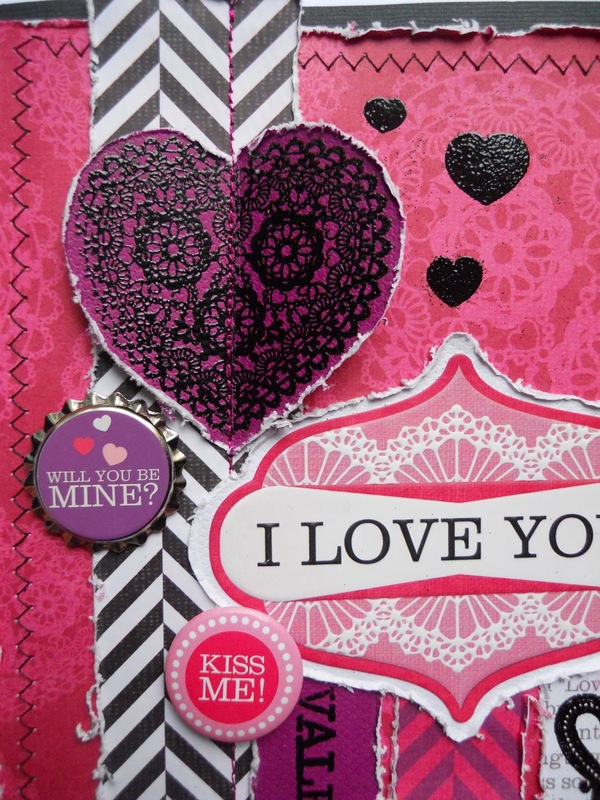 I used Ranger black embossing powder for all of the stamping that I did with the awesome stamps that came in the bundle! I machine stitched along the edges and along the doily heart and chevron paper. I folded the heart in half to give it some dimension. Then I just added the bottle cap and kiss me button. Thanks for looking!